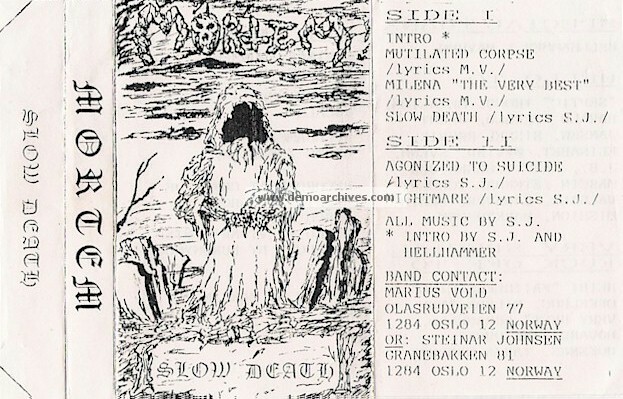 Death metal band that started in April of 1987 which consisted of Marious, Steinar and Lars (whom joins after the demo). Some members would go to Arcturus. Xerox covers with regular tapes. Back has band info, thanks list and recording info. No lyrics. 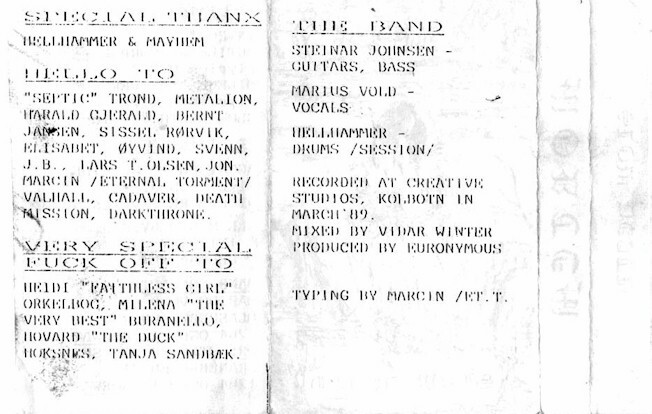 Produced by Euronymous. Cost $820 to make and was recorded in 12 hours. HellHammer was the session drummer.